What is the best industry in 2015 to work in? According to many sources, trucking and truck driving may be one of your best bets. Many companies are having a hard time finding qualified truck drivers and owner operators to handle their freight. It’s no secret that the trucking industry is short on new truck drivers and drivers overall. Check out our segment in Big Rig Talk – The Ongoing Truck Driver Shortage. The truck driver shortage is stressing the trucking industry. But that means opportunity for you and anyone else that wants a career in trucking. The trucking industry is already introducing new rulemaking to alter the driver shortage. The industry wants to allow young truck drivers the opportunity to cross state lines. Our own CMO Richard Hale has discussed recruiting new truck drivers. Efforts are being made all around the industry. But what this does create is an opportunity for new truck drivers to come into the industry and profit. Remember a few years ago when everyone and his brother was going back to school to become a nurse? Local news stations across the country were running stories about how the economy was in need of more qualified nurses and RNs. The economic downturn in 2008 resulted in many people losing their jobs, so people responded to this nationwide call for nurses in hopes of finding a “recession proof” line of work. The same thing is happening today for truck drivers. 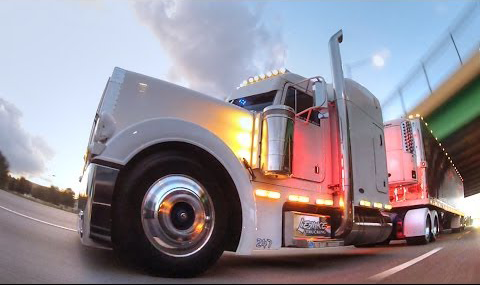 KAAL-TV, a local news station serving the Minnesota and Northern Iowa region, recently published a news article about the need for truckers in their area. One local trucking company there claims that they are already short on thousands of truck drivers and see that shortage only continuing to grow. “In 2020, we’ll be over 30 thousand drivers short,” said a spokesman at Valley Transportation Service, Inc. Trucking jobs are in high demand and it’s not focused on just one type of trucking. We see high demand for owner operators and hot shot trucking. We see high demand for OTR trucking jobs. The trucking industry’s struggle to bring in new truck drivers and keep them is your opportunity to find good paying trucking jobs. Even with the recent U.S. economy struggles, 2016 trucking trends are positive. 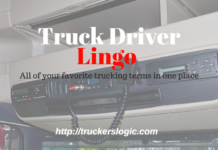 Truckers Logic has a wide range of truck driver resources to help you get started. Our trucking books will help you get to know the trucking industry and what type of job you want. There’s a wide range of different truck driver types you can become. Take the time to weigh out the pros and cons of trucking, see if a driver job is for you. Why do we need more truck drivers in our economy? Trucks are still the #1 way companies ship products and freight in the US. Companies need skilled truck drivers to move their products so they can sell them and in turn keep their own companies profitable. If no truckers are available to move their products, shipments may be delivered late and hurt the company’s bottom line. 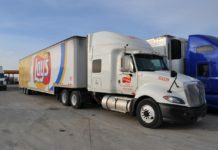 Grocery store chains, for example, are in regular need of truckers to haul shipments to local stores in their region. Many trucking companies are willing to pay owner operators and truck drivers good salaries to keep their clients’ freight moving on time. Valley Transportation Service in Minnesota claims their truckers can take home “between 900 to 1,100 dollars each week.” But the Northern US isn’t the only region in need of qualified truck drivers. 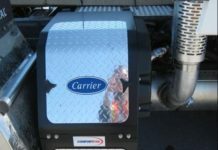 No Bull Trucking Company in Jacksonville, FL serves the greater Southeastern US and is also willing to pay good settlements to qualified truckers for their services. No Bull Trucking even goes so far as to guarantee their drivers $18K in the first 6 weeks of their employment to keep their truck drivers happy. “We recognize the value of good truck drivers and want to do everything we can to keep good drivers on our team,” said No Bull Trucking.